To watch the clips on YouTube, click on the thumbnails. 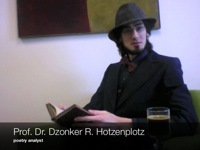 For high-resolution video clips send a request to Dirk Brockmann. 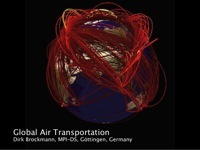 A visualization of the global air transportation network. 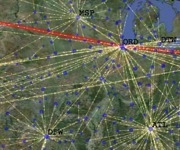 A computer simulation of the spatial spread of an SIR-epidemic in Germany. 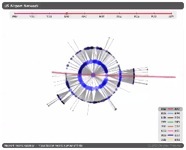 Initial outbreak in Munich. 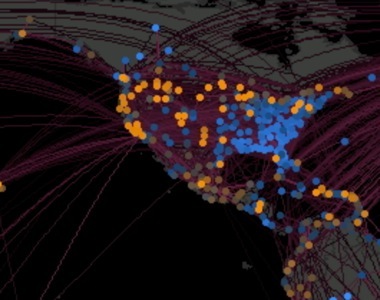 A computer simulation of the spatial spread of an SIS-epidemic in the US. Initial outbreak in Washington, DC. 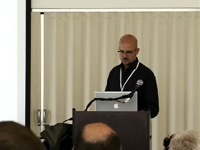 Talk at the Deans Seminar of McCormick, Northwestern in May 2009. 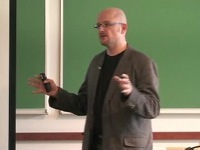 A talk on "money circulation science" at the Ideafestival 2007. 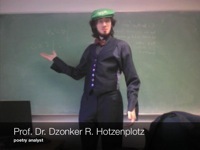 Prof. Dr. Dzonker R. Hotzenplotz, a (fictional) poetry analyst played by Daniel Grady, reads and comments on poems written by students of (non-fictional) Prof. Brockmann's lecture on Multiple Integration and Vector Calculus in Winter 2009. Interview on The scaling laws of human travel. Der Weg des Virus (ZDF heute nacht, Jan 2006, german). Read related article. Go to project page. Television Feature, Jan 2006, on Forecast and Control of Epidemics in a Globalized World. Read related article. Go to project page.